Global issues related to nutrition and public health. Evaluation of nutritional risk factors associated with the development of chronic diseases and the role of nutritional medicine in prevention. Topics include food safety, communicable diseases, supplements, and regulatory issues. Major Requirement: satisfies upper division elective for Public Health: Health Policy and Management B.A. Dr. Zuzana Bic has doctorate degrees in both Public Health and Medicine. 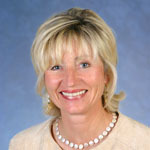 She is the co-author of the books 1) No More Headaches, No More Migraines, 2) The Cure Within - A Story from Lifestyle Medicine and co-editor of the books 1) Educating Instead of Medicating in Public Health, 2) Public Health Program in the Corporate World and she is the editor of the book Nutrition and Global Health. Dr. Bic studies the impact and application of "Lifestyle Medicine" (nutrition, physical activity. stress management) on slowing the process of aging and developing of other chronic diseases ( headaches, diabetes II, cardiovascular diseases. osteoporosis, fibromyalgia/chronic fatigue syndrome, arthritis, cancer, depression, drug abuse, and others). She is also working to develop health literacy program for the general public. She developed online classes for Public Health and MOOC. She is a Director of Student Experience in Public Health Practice and is the advisor for students' Public Health Association at UCI.